The conditions are right for a ‘perfect storm’ for buy-to-let landlords. Higher taxation will reduce net rental yields, new statutory regulations will add to costs and the imminent increase in interest rates will lead to falling property prices, creating a stampede of landlords desperate to sell, forcing prices even lower. One in ten people over 50 now own a buy-to-let property, bringing in an average “profit” of £700 a month. A third of these became a landlord during the last five years with one in seven inheriting and 7% buying a home for one of their children or grandchild to live in, according to a survey of more than 10,000 landlords by Saga Landlord Insurance. But a buy-to-let investment is not all it is cracked up to be? – One in ten over-50s landlords are only just breaking even or are actually losing money every month. – Over 30% of those surveyed feared renting to bad tenants. – Around 20% are worried about managing their rental property as they get older. – Over 30% had issues with unpaid rent, a quarter had suffered damage to their property and one in ten are taking legal action against tenants. As tenants do not look after rental properties as they would their own home, maintenance costs are higher. Landlords also need to factor in rental voids, agent’s fees, insurance and legal costs. A buy-to-let landlord can only reasonably expect to net around 70% of the gross rent received, bringing the average buy-to-let yield down from 4.2% to 2.9%. In his 2015 Budget, Chancellor George Osborne announced that tax relief on buy-to-let mortgage interest payments would be restricted to the 20% basic rate, increasing buy-to-let landlord’s borrowing costs from 2.2% to 3.2%. The “wear and tear” allowance is also to be limited to actual costs incurred rather than the current relief write-off – 10% of rental income. The sustained, historically low interest rate since the financial crisis has led to a marked increased in buy-to-let ownership. There are now 2.1million landlords, up from 1.5million in 2007, when one in five mortgages were given to buy-to-let investors. 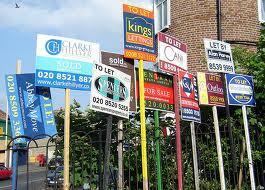 Now, according to the Bank of England, buy-to-let accounts for 15% of all outstanding mortgage debt. With net rental yields at just 2.9% any increase in interest rates will leave many landlords looking for an exit – probably all at the same time! MoneyWeek magazine reports that currently, 31% of households are mortgage-free and own their property outright – a record level. This is also partly due to ultra low interest rates, enabling borrowers to repay their mortgages early. But conversely, these same low interest rates have enabled house prices to rise to seven times the average gross salary in England – up from 4.5 times before 2008. This has created a barrier preventing many first-time buyers getting on the housing ladder, resulting in nearly a fifth (19%) of all households living in private rented accommodation – a level not seen since the 1960’s. More than half of first-time buyers can only do so with financial help from their parents. In the 1990’s, the average age of people buying their first home was 27. Today, according to the Mortgage Advice Bureau, most first-time buyers are in their late thirties (37). The average rent for a two-bedroom house in England is just under £600 a month (£7,140 a year). The average debt of the UK’s 11.1million mortgage borrowers is £114,535 at an average mortgage rate of 3.1%, giving interest payments totalling £3,540 a year– half the average rent. This entry was posted in Buying and selling property, Letting and renting and tagged buying, house prices, landlord, letting, mortgages, renting, tenant. Bookmark the permalink.